NOW AVAILABLE WITH TANK TOP! The BQE 210 is a compact, but beefed up basher, built to take the serious abuse of flying in urban settings. We've been testing and revising this frame for years now, to bring you the strongest unibody X frame we can make at this price. 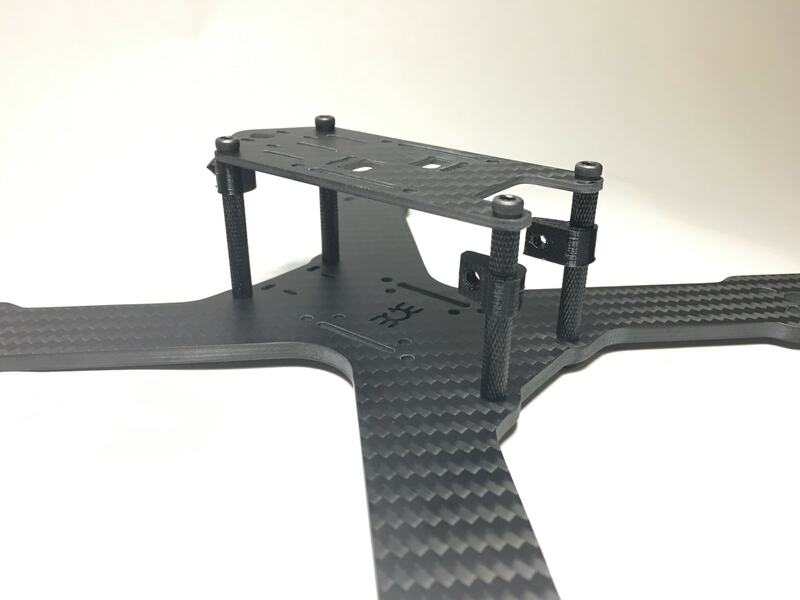 True X T700 Toray Carbon baseplate. 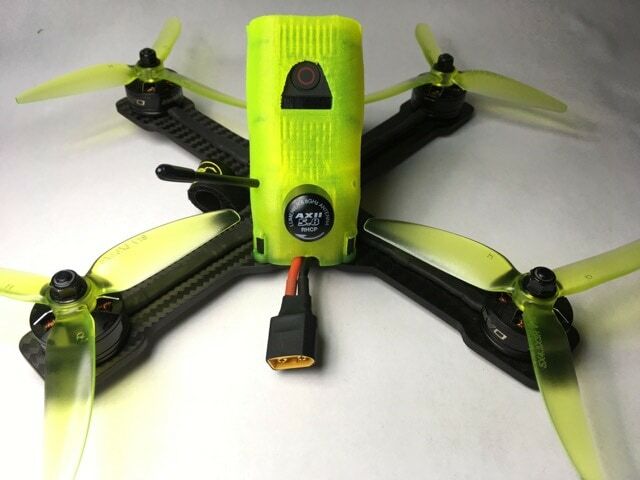 Designed for 5″ props, 2203-2206 motors. 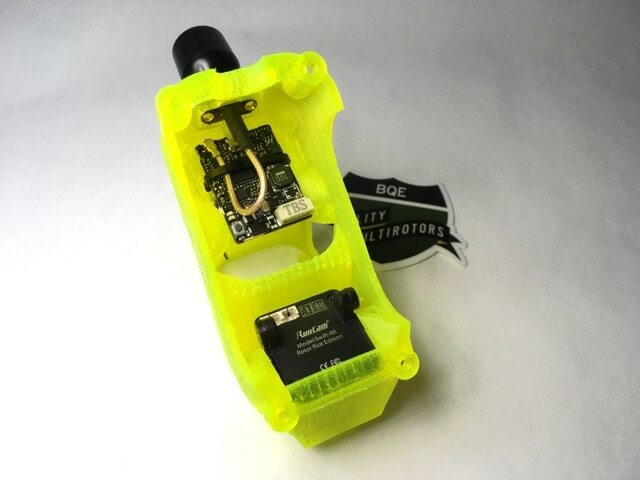 Compatible with many popular vtx's. 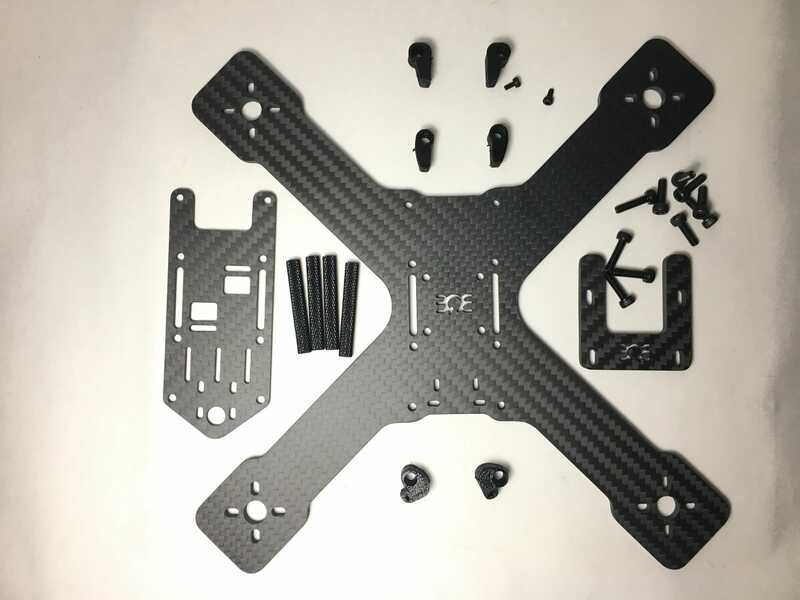 Select original carbon fiber top plate or Tank Top version below. 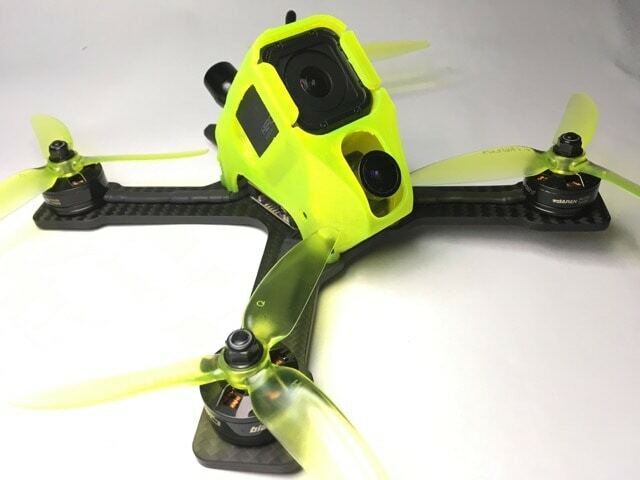 NOW AVAILABLE WITH TANK TOP, a 3d printed canopy that holds your Go Pro Session, FPV camera and TBS Unify Pro or other vtx neatly in place. With the BQE 210, our goal was to build something that would be a challenge to break. 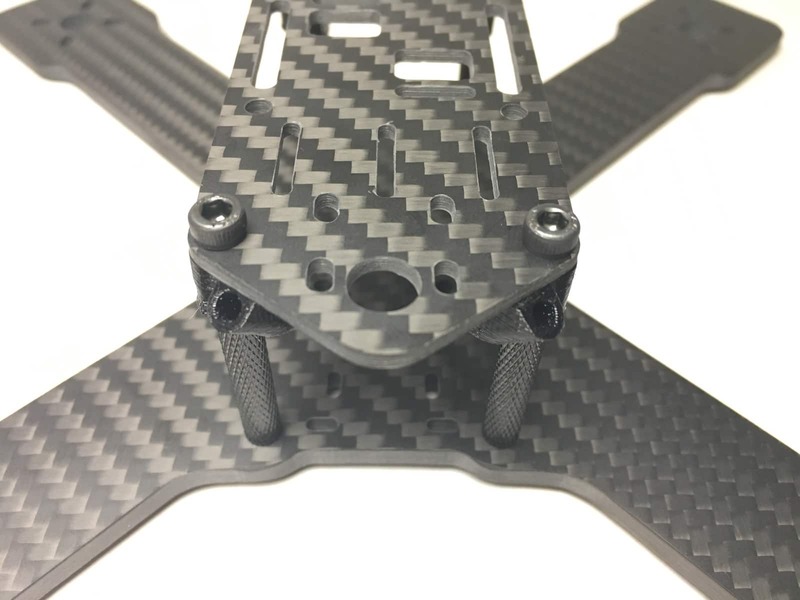 Designed for 5″ props, the new BQE 210 has a 4mm T700 Toray carbon fiber bottom plate with a matte 3k finish. It includes a 2mm 3k top, and ships with knurled 30mm standoffs. 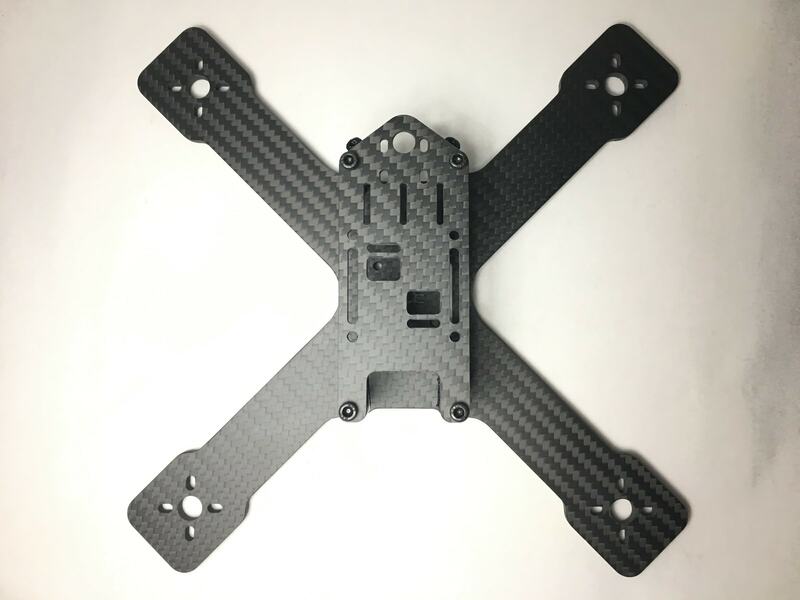 The wide arm design, and multiple vtx mounting options provide the flexibility to quickly build a rugged X-frame multirotor with a variety of popular components. 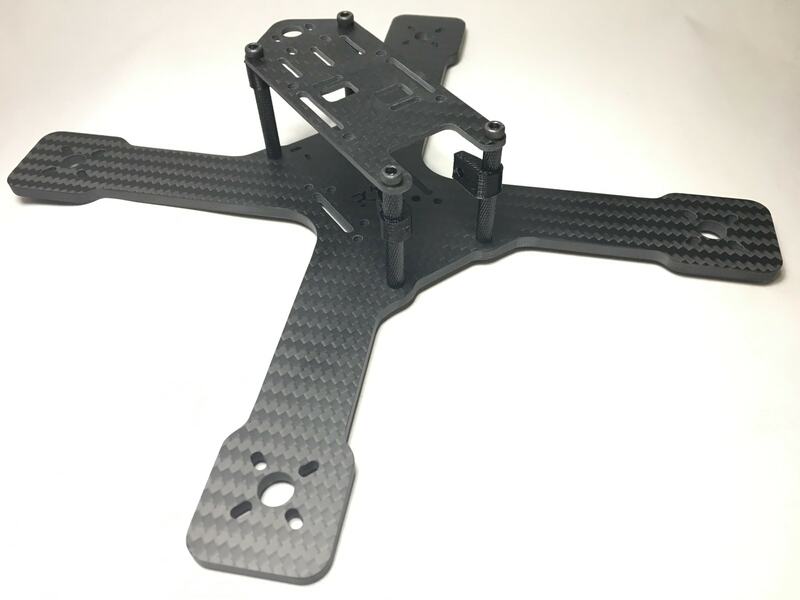 We’ve adapted our design for some of the newer flight controllers and cameras that have been released this year, and have redesigned the frame to support both 30.5×30.5 and 20×20 FC mounting patterns, have new TPU camera mounts for both full size FPV cameras, and smaller cameras like the Runcam Split and Swift Mini. This is the fourth design version of the BQE 210 and is now being cut in super strong T700 Toray Carbon for version 4.1. 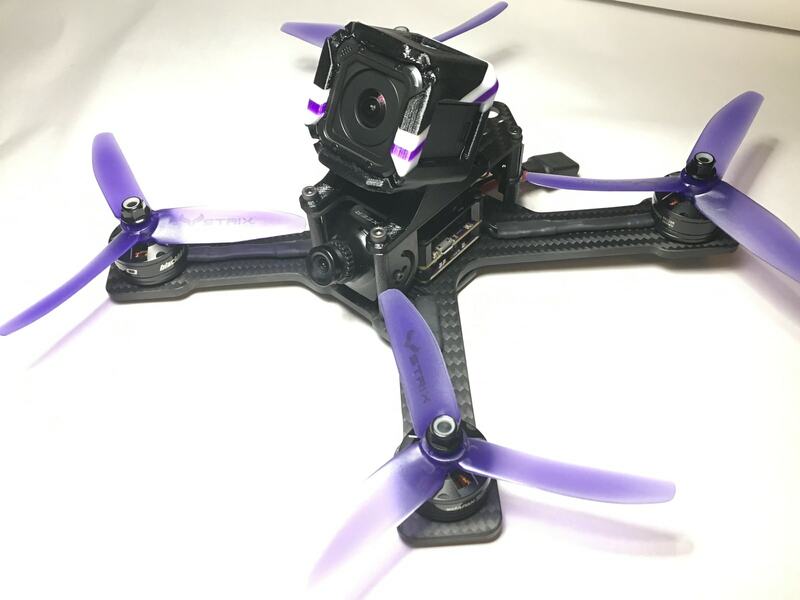 With 2 sets of 3d printed TPU camera mounts included, you can directly mount a Runcam Split or Mini, a Foxeer Arrow 2, Swift 2 or standard HS 1177 cam with ease. 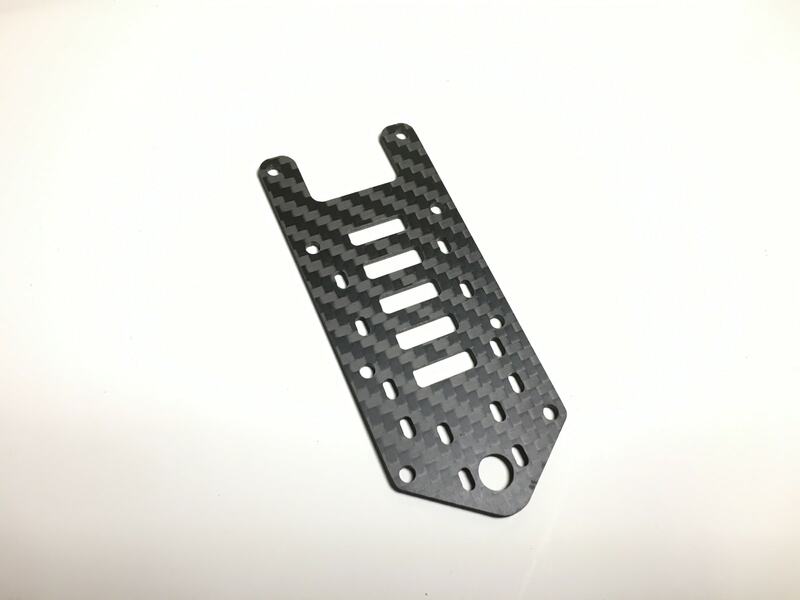 We’re also including TPU antenna mounts to give your buddies something nice to look at as you pass them on the track. 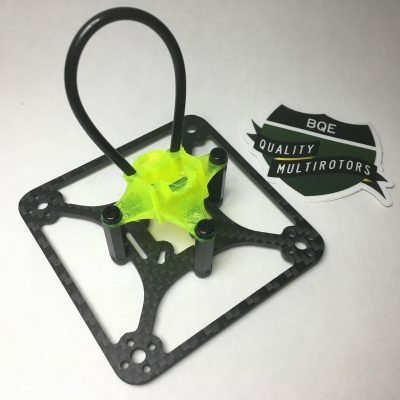 BQE 210 has a mounting pattern for the TBS Unify Pro antenna, zip tie slots for horizontal vtx mounting out the back, and every frame comes with a set of bolt on, 4mm bull horns to protect that lens from your local lamp pole. This is my absolute favorite frame. Light yet durable, roomy yet compact. Motors well protected. It’s perfect! I’ve had the same 3 bqe frames for 6 months. iv’e gone through 6 other frames in that time. These will just not break! my go to frame. Ultimate freestyle frame. Very simple design that will take a beating. It’s got everything you need for freestyle and nothing you don’t. 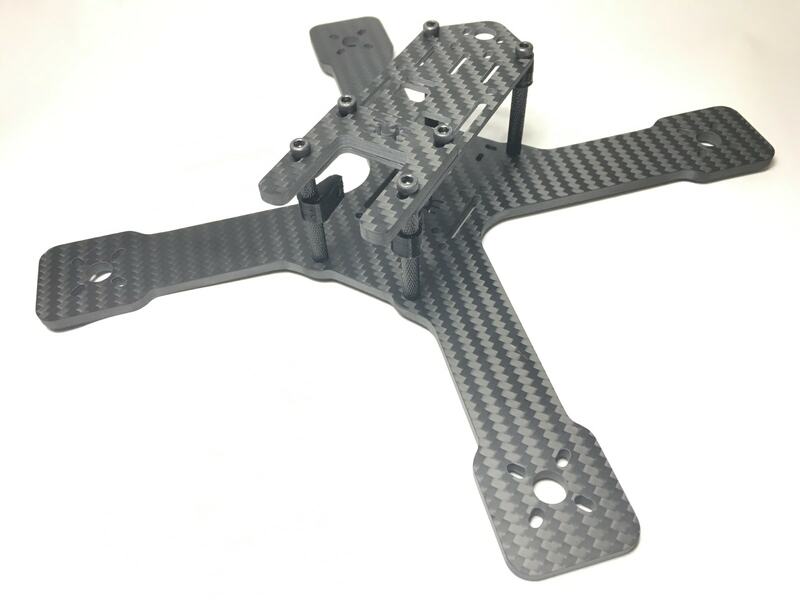 Versatile mounting options for your antennas, cam, and vtx. Plenty of protection for your cam if you use the bullhorns. 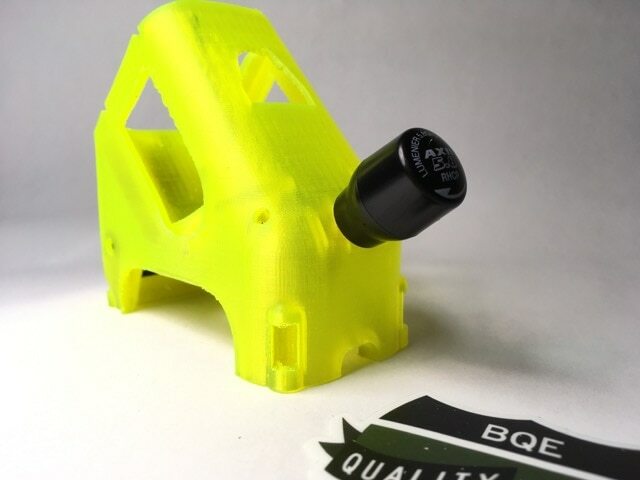 If you run a GoPro get the custom bqe210 mount for it! Ideal for someone that is tired of cracked lenses and snapped zip ties that leave you combing through the tall grass like you dropped your glasses. 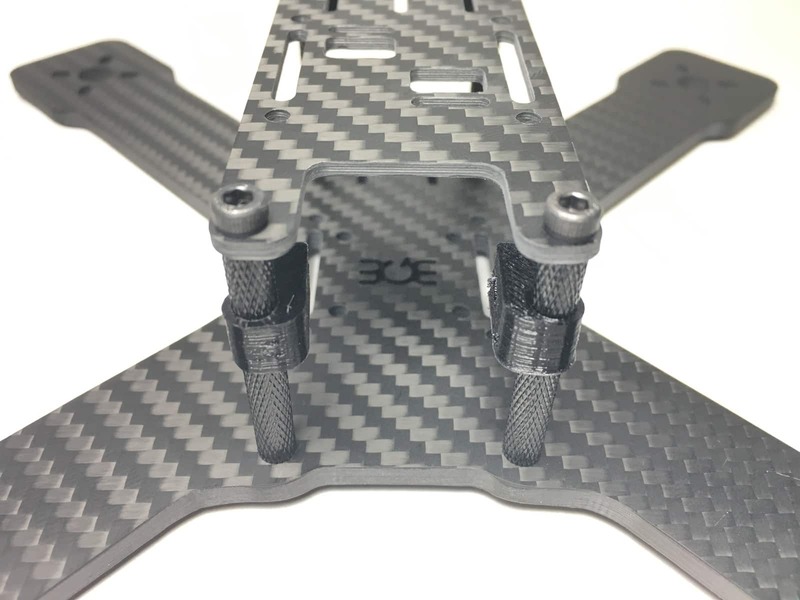 A true X, bottom mount frame that’s only 210mm means tighter turns, rolls, and flips. Put it in your cart already. I’ve been flying the BQE210 for over a year now. This is hands down my favorite frame. It is built to take a beating and will. This is the ideal frame for a beginner that is gonna crash a lot all the way to the pro that’s gonna crash a lot..lol I would highly recommend this frame. This was the very first frame that I bought. 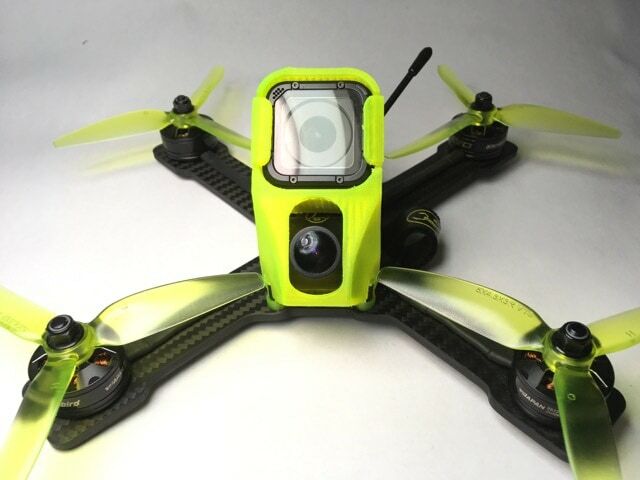 And the very first frame I flew. Bill was so awesome that he came over my house once I purchased and helped me make sure all the components were on right and even helped me with BetaFlight to get the motors right. This frame is perfect if you are looking for a VERY strong frame. It will take a nose dive from 60ft at full throttle with no damage. 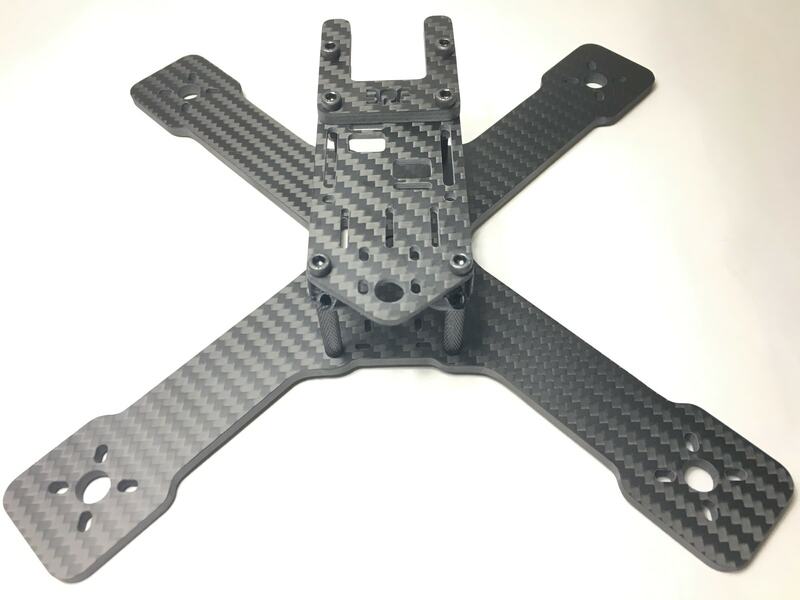 I would highly recommend getting this frame if you like to fly fast and crash hard without worrying of buying arms etc. If I could give this frame 10 stars I would. 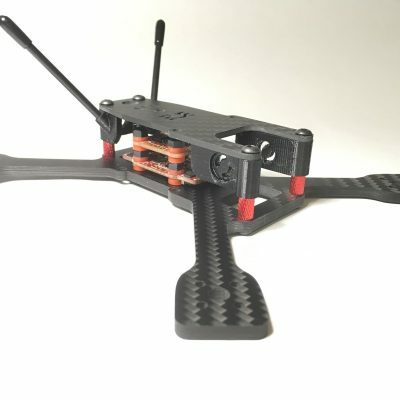 I highly recommend ANY BQE frame as they’re awesome! You need to give Botgrinder a kick back for this frame. I absolutely love it, fantastic freestyle frame. It’s durable as hell and nice and floaty for some great air time. I immediately bought a second one after testing my first BQE210.